The 1990s were a magical time when Jolt Cola was still readily available, Bill Clinton was President, SEGA & Sonic the Hedgehog rivaled Nintendo & Mario in popularity and you could totally get away with wearing a beanie to work! Prepare yourselves for possibly one of the most 90s videos you’ve ever seen courtesy of the 1996 SEGA USA Testing Department – “The SEGA TEST”. 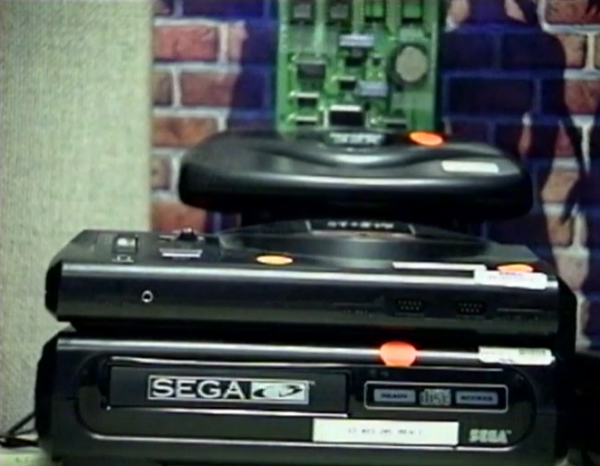 Early ‘96 was an odd time for the folks at SEGA USA – SEGA was coming off a particular strong ’94 where they had outsold the SNES in North America, the begging of ’96 was officially six months into the launch of the SEGA Saturn and former SEGA of America CEO Tom Kolinsky had yet to leave the hardware manufacturer. If you’ve watched the embedded video already and wondered what happened to some of the folks featured in the video: According to LinkedIN Mark Paraiagua went to QA for OPENTV before working at HP. Jeff Junio went on to work for 3DO, became a Game Designer for Rock Star games before moving on to SGN. Janine Cook still works for SEGA of America as a producer after moving around to various other gaming related businesses including EA Canada. It is quite interesting to get an inside(ish) look at what working for one of the major videogame companies in the mid-90s was like, even if the that look is thoroughly washed through the corporate lens.